This additional service complements the existing range of repairs for electric motors, pumps, compressors and generators. In addition to mechanical repairs and welding services, the service centre has an experienced field services team that delivers onsite repairs around the clock. As part of the investment made by Sulzer to improve local repair facilities, the service centre in Piedmont has been equipped to carry out complete refurbishments of small steam turbine packages in addition to the services already delivered. The service centre can now handle steam turbines up to 750 hp and repairs include balancing as well as overhaul of the governor and trip unit. The experienced project team of engineers, designers and field service technicians is able to deliver repairs to small steam turbines and other turbomachinery for customers involved in power generation, paper and petrochemical, steel as well as more general industries. 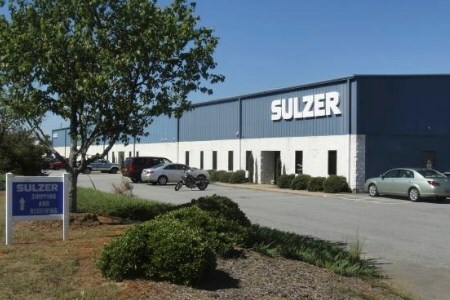 This most recent addition in the Sulzer portfolio minimises transport time for steam turbine repairs in the South East USA and ensures a cost effective repair. Sulzer service centres act as the local point of contact for a repair of any scale, even if the equipment has to be sent to another facility for the work to be completed. In this way every service centre can offer the complete range of repair services to its customers. By delivering an efficient and reliable service, Sulzer is able to minimise downtime and increase productivity for each customer.